When Michigan legislators tried to cut the income tax, the state’s public universities were out in force arguing that they need this money more than taxpayers do. But taxpayers get a raw deal when it comes to financing public universities, because this funding is arbitrary and often wasteful. Legislators recently tried to cut the income tax from 4.25 percent to 3.9 percent, a promised rollback from when it was hiked under Gov. Jennifer Granholm in 2007. Since that time, the state budget has increased by more than $10 billion – significantly more than inflation. Spending on public universities was cut in 2011, but has increased every year since. Gov. Rick Snyder’s proposed budget for next year increases funding once again. 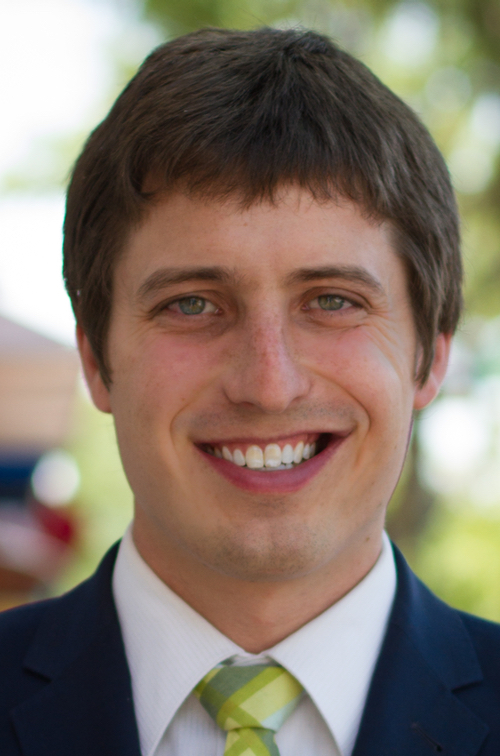 Jarrett Skorup is a policy analyst at the Mackinac Center for Public Policy, a free-market think tank in Midland. The income tax cut would have helped everyone, but the U-M president is worried it would crowd out funding for universities. But why should everyone in Michigan, including low- and middle-income citizens, have to pay higher taxes so the University of Michigan gets more money? The vast majority of students at the University of Michigan come from wealthy families. Less than 20 percent of students hail from families with a household income below $60,000 while more than 60 percent of students are from families that make more than $100,000. And the university has an endowment of nearly $10 billion – which has helped it continue to cut the cost of a degree even through the Great Recession and state budget cuts. U-M’s efforts to make college degrees more affordable for low-income families are worthy of praise. But the fact remains that the university primarily benefits students from high-income backgrounds. So the question remains: why should the average Michigan household, which suffered a nearly 20 percent loss of income during the “lost decade,” have to pay higher taxes for universities like U-M that mainly serve the already well-to-do? While the 14 other public universities aren’t as well off as U-M, it isn’t clear that more spending on higher education is a good idea. The state funds colleges at wildly different rates, ranging from about $2,700 per pupil at Oakland University to around $11,500 per pupil at the University of Michigan. The state does little in terms of requiring that universities show results from all this spending. There are incentives built into some funding – colleges can get more for holding tuition steady or improving graduation rates – but this amounts to just a sliver of the money higher education gets. And the universities complain about those small strings: Gongwer News recently reported that the colleges want to change the funding formula by dropping the graduation rate goals and tuition restraints. The evidence shows the state’s universities, by and large, aren’t doing a great job with the funds they get. The typical Michigan university struggles to graduate more than 60 percent of its students. The graduation rate at Wayne State University, one of the highest-funded by the state, is 11 percent after four years and only 32 percent after six. African-American students have a graduation rate around 10 percent. This is particularly bad when you consider that the number of low-income students graduating from college used to be significantly higher than it is now – 12 percent in 1970 vs. 7 percent today – despite far more higher education funding now. The state spends $1.5 billion, mostly out of the general fund, on higher education. The evidence shows that this contributes to higher tuition without leading to more college graduates overall, reducing the number of educated residents leaving the state, or producing economic growth. Much of this money could be better spent elsewhere. Strong public colleges and universities provide a number of benefits. Look at the economic impact of Michigan, Michigan State and Wayne State Universities, known as the URC, or the number of our states' professionals trained by these institutions. My husband and I would have moved away from Michigan years ago if not for the opportunities these institutions provided. And on a side note, Bridge should include a more detailed author bio. Stating Jarrett works for the Mackinac Center gives me the sense he's anti-public funding for education, but I was curious about his educational background. According to the Mackinac Center's website, Jarrett is from Indiana and the graduate of a private, Christian liberal arts college in Pennsylvania. I would venture to guess his lack of first-hand experience with our state's public colleges and universities may influence his perspective. Ms. Thompson, why is Mr. Skorup's education germane to the facts included in his piece above? Are you suggesting that facts are not really facts because of the alma mater of the individual presenting them? Ms. Thompson didn't dispute the facts. But commentary in regard to those facts can be biased and that is what she addressed. Whether or not someone attended U of M or WCCC, that doesn't affect the veracity of any of those statements made above. Care to try again, Ms. Adams? As is all too usual we get, if it weren't for the taxpayer funding, no students would attend college, the U's would all close and Michigan would plummet into another dark age. This ignores huge number of world class private U's across the nation. Aside from the numbers of students who attend but then drop out, to evaluate what we as tax payers get for our investment, I'd like to know what percentage of college grads end up in occupations that actually require a degree? Second, what percentage of graduates actually stay in Michigan after they graduate? Good luck getting these answers. And now, the rest of the story. As the state has followed the policies of the Mackinac Center for the last 20 years and cut taxes dramatically (the effective state tax rate has been cut by 25 percent since 2000), we've seen our state be forced to cut support for universities (and infrastructure, and cities, and....) dramatically. Per student state support, adjusted for inflation, has dropped from $12,590 in 2002 to $7,686 in 2016. Meanwhile, the cost of delivering an education has increased by a slender 2.3 percent more than the rate of inflation, despite the state, businesses and students demanding more of universities. So the reason for tuition increases is almost entirely due to cuts in support for universities and students by the state of Michigan. The state has virtually eliminated need based scholarship support, forcing universities to cover the cost of helping low income students have access to college. It has been well proven that the path to higher incomes and prosperity for all citizens in a state is to increase the share of college graduates in that state (not lowering taxes...low tax states are generally states that do not attract college grads and are generally poor, unless they have oil or natural gas). If Michigan wants to prepare, attract and retain college graduates it needs to invest in higher education and in our cities, which is where young college grads are tending to congregate these days. We rank 32nd in college attainment; we rank 32nd in per capita income. The richest state (and highest taxing state) in the Midwest is Minnesota. It ranks 14th in per capita income, and 10th nationally in college attainment. The Mackinac Center routinely supports the idea that we should be cutting taxes and public goods, as Indiana has done. Indiana, by the way, ranks 36th in per capita income, and 43rd in college attainment. The data is clear -- cutting taxes is the path to poverty in a knowledge-based economy. We have been proving that since 2000. And we seem to destined to continue proving that in the future, given ongoing tax cut talks in our Legislature. Dave, is the 2.3% on top of inflation? (So basically they're running twice the rate of inflation?) I'm not following that. How do you explain the inflation experienced even at private schools? Thirdly most of the tuition inflation came before the cuts to aid you refer to were enacted, this inflation has been going on for 30 or 40 years. Lastly how does the state spending money on higher ed retain grads , if there aren't the jobs for them when they graduate? (Unless they go to work in higher ed.) If we want to retain grads why not redirect existing aid to helping new grads pay back college loans after they graduate? The author builds his entire case by using 2007 appropriations as his baseline. That's near the lowest point in Michigan's recession. For a more accurate historical perspective he should go back to the George Romney administration, when state appropriations provided the bulk of the cost of Michigan's university education program. Governor Romney recognized something the Mackinac society apparently has forgotten: a more educated workforce means a more prosperous state. That philosophy has been born out by the experience in Minnesota, which has higher levels of educational attainment and much higher median state income is. It is no coincidence. The schools must charge almost as much as it costs. All citizens should contribute to our national education system. I'd like you to come meet the students I teach at Wayne State, Mr. Skorup. You criticize our 4 year and 6 year completion rates (current rates are higher than those you cite, by the way). Most of our students work in addition to going to college, many working over half time or full time. As a person who worked 20+_ hours a week when I was an undergraduate, I can tell you that graduating in 4 years while working that much, is very very difficult. I regularly have students who must take a semester off to work to pay for their next term in school, and the time they have for study often means that full time is not a luxury they can afford. The formula that the state uses to set funding for WSU and the other state universities, does not take into account whether or how much students work while they are enrolled in college. At one time in this country, it used to be a matter of praise for students to work their way through college, however long that took. Now, taking more than 4-6 years is reason for a student's college to be punished by getting less funding from the state. Lower funding means fewer resources for scholarships of the sort that would help poor students stay in school full time. We at Wayne State also have more students than Michigan or Michigan State who will be the first generation in their families to graduate from college. That change creates a dynamic that has transformed many American families throughout our history. Like many faculty at Wayne State, I feel privileged to serve the public good through teaching our students. You diminish our students' achievements by not recognizing what they accomplish. This happens to be the first article I have read with my new Bridge subscription. Not a good way to start. Starving the university system will make Michigan even further behind other states in important economic, social, and educational measures. Thanks for subscribing to Bridge. As this article notes, this is a guest column and not a reported, data-driven story produced by Bridge staff. We accept commentary from a wide range of citizen voices but we are also careful to note these commentaries as guest columns that do not necessarily reflect the opinion or the reporting of Bridge staff. "As this article notes, this is a guest column and not a reported, data-driven story produced by Bridge staff." I'm curious, Mr. Zeman; was anything Mr. Skorup written above factually incorect? Individuals writing for the Mackinac Center are not known for "Maddowing" their readers. I'd like to know why you wrote that this wasn't "data-driven"? There were more than enough links for sources to substantiate the claims made within it. Another example of either or reasoning: cut income taxes vs. funding for University of Michigan. If your child gets really sick, where do you send her? Why do so many people from all over the world want to come to U of M? All Michigan Universities are not U of M, but it serves a purpose, as do the others. Is tuition too high at our colleges and universities? Absolutely. Are tuition increases due to cuts in State funding. Yes and no. What we should be spending our taxpayer money on is making sure students go to our universities with the skills to graduate and support for those who need it. And is it the universities' fault that so many graduates leave Michigan to find jobs elsewhere? I wish this issue and life were so simple. Would people not come to UM without state funding? My guess, the ratio of applicants to openings wouldn't change. Harvard, Stamford, UoP, and hundreds of others prove the point. My contention is that giving funds directly to the U's is a poor way of helping college affordability. The analyst is using disparate statistical parameters, e.g., the inference that a decrease in the graduation rate of students (of a certain income level) over time is somehow due to university ineffectiveness is sloppy at best. Some might interpret it as fake news designed to support conservative efforts to enhance the great divide. How disappointing that you feature a perspective where the statistics are inappropriately connected, e.g., low income vs graduation rate over time with university effectiveness. Sloppy association or worse, intentional. Bush 43) did the most to destroy education. oh yawn. another hit piece by the Mackinaw Center. wonder where your funding comes from. strike that, it isn't too hard to figure that out. The six-year graduation rate measures only whether students who enroll at a particular institution full-time right out of high school graduate from that same institution within six years. The WSU graduation rate is so low because many of those students at WSU reduce to part-time, transfer to a community college, etc., due to financial challenges, and are therefore excluded from the rate even if they eventually graduate from WSU or another institution. Moreover, students who begin their post-secondary career in a community college and then transfer to a university, or take a break for a military deployment, are not counted in the six-year graduation rate even if they graduate from a university relatively quickly with a 4.0 GPA. That's why many universities are lobbying to drop the six-year graduation rate metric from the budget formula and replace it with something more effective. States that invest more in higher education have more college graduates and, in turn, higher income levels and higher employment rates. Individuals with a four-year degree also earn far more and have higher employment rates than those without a degree. This is not rhetoric; these are the facts. That's why the Business Leaders for Michigan -- hardly a bastion of big-spending liberalism -- has called for investing hundreds of millions MORE, not less, in Michigan's public universities. As usual, the Mackinac Center is dead wrong in its effort to make Michigan poorer and dumber. "States that invest more in higher education have more college graduates and, in turn, higher income levels and higher employment rates." Many Bridge writers and commenters have a great deal of trouble with Post Hoc fallacies. It is never considered that maybe wealthy and higher income families are more likely to send their kids to college than the other way around. Very disappointed in Bridge Magazine for using something from Mackinac Center for Public Policy -- the prime example of sloppy substandard "research." Bridge Magazine should be better than that. Where is today conservative intellectual commentary like William F. Buckley when we need it?